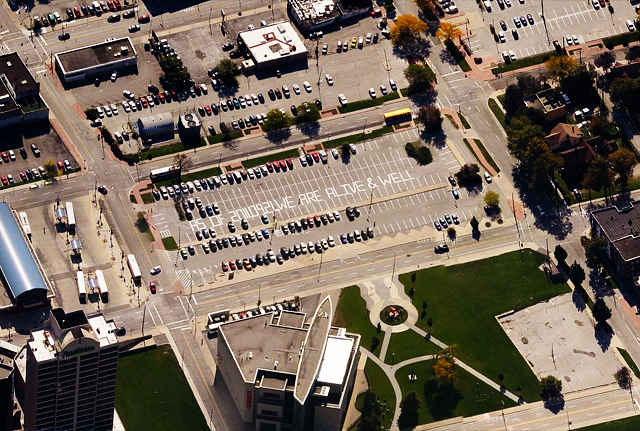 Alive & Well, our 350 ft long message painted on the city-owned parking lot for the 2011 AGW Biennial and recently captured by Google Maps, is in the process of being torn up to make way for an Aquatic Centre. 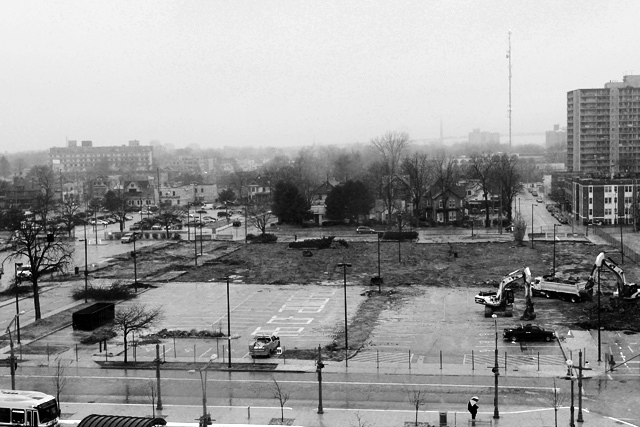 We’ll be actively looking for a new parking lot, field, or rooftop to do another large-scale work. If anyone has one to offer, let us know. It was a beautiful day in Windsor yesterday. Something like 30 degrees fahrenheit cooler than it was just a couple days ago when we were installing at Forest City Gallery.